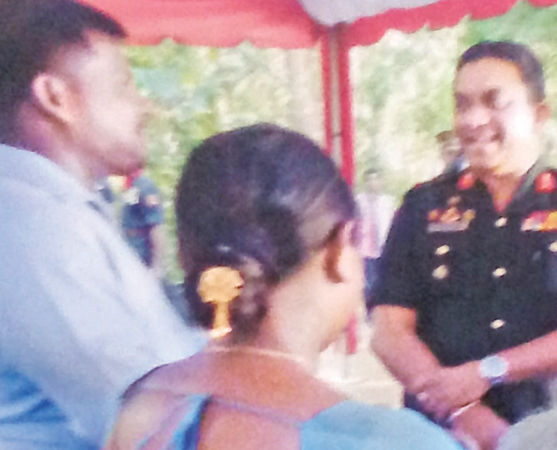 Jaffna Army Chief Major General Dharshana Hettiarachchi along with house recipient Randika Chaturanga and his wife. The Army Engineer Force provided 25 lakhs for the other requirements of the house, Major General Hettiarachchi said. Mohanshankar said they donated seven houses recently - three in the Northern Province and four in other areas of the country. THANK YOU Mr and Mrs Mohanshankar. You all are true sons and daughters of Mother Lanka. GOD BLESS YOU !! !